You will find that rowing machines give you a good workout and cardiovascular exercise. Its an exercise machine you can use without causing too much impact to your joints and muscles. Many older and younger people can use rowing machines with beneficial impact. Although the rowing machine does take some getting used too. You will have to learn how to properly coordinate your movements. The rowing machines simulate the experience of rowing on the open water. You pull on the metal bars and move forwards and backwards on a gliding seat. Rowing machines offer you the chance to increase the tension setting and speed to challenge you. While you are using rowing machines you burn an extensive number of calories, up to eight hundred calories and hour. That’s building up quite a sweat. 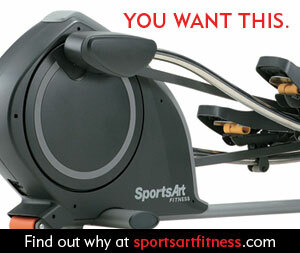 The rowing machine will be excellent for your arms, back muscles, back, shoulder, and abdomen. On the upside to your workout will be low impact on your joints and bones, but you may notice some strain on your back. Rowing machines are amazing for their gliding on water feel. They are specially designed to provide this ‘gliding’ effect, via the use of flexible graphite composite and water-filled flywheels. You can even find rowing machines with rowing on water sounds to enhance your workout experience. To make this even better you can play music of the seashore or a small brook. Or you can even watch some nature footage on the television while rowing. Most rowing machines come with electronic gadgets such as pre-set programs, elapsed time displays, stroke count, strokes per minute and estimated calories burned. A good tip to remember when using rowing machines is to keep your elbows tight to your body. Check out rowing machines reviews online to find more information and get an idea of what to look for and what personal preferences you might have.